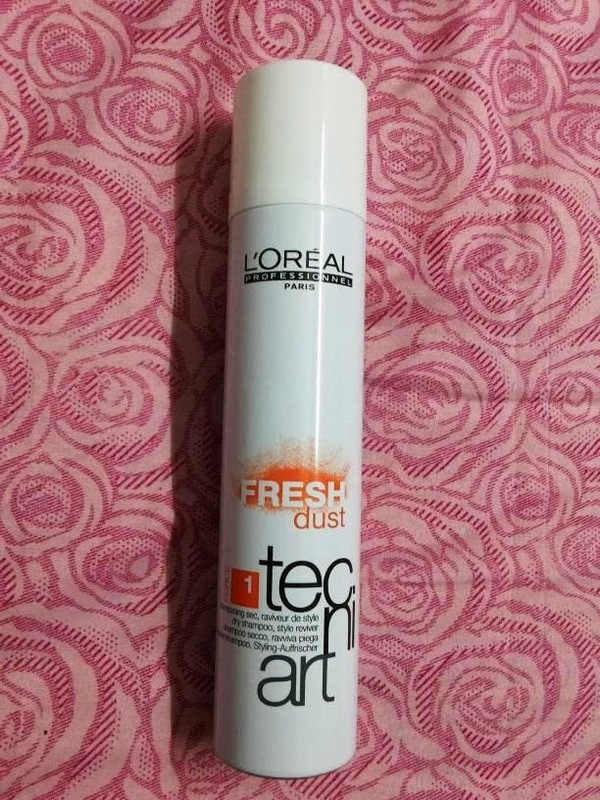 I've been looking for a dry shampoo for years but knew that it was impossible to find in India until recently when I saw an ad in an Indian magazine featuring one by L’Oréal Professionnel. I was obviously very excited and wrote to them if it would be possible for them to send me a sample and they were really nice and promptly sent me a can! 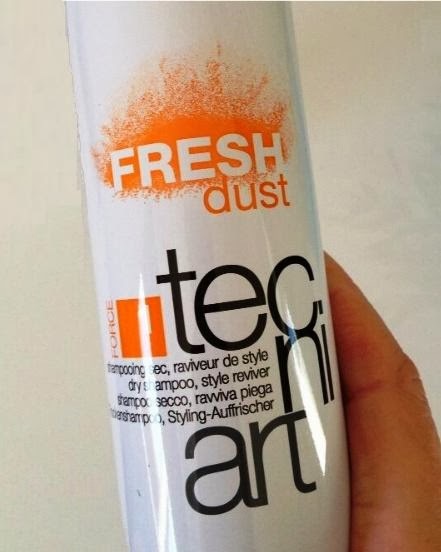 Fresh Dust is a dry shampoo from the Tecni Art range by L’Oréal Professionnel which adds instant volume, texture and refreshes your roots. You can use it between shampoos to absorb oil or to extend the life of your salon blow dry. This fine spray powder absorbs oil at the roots at ease and has a really nice and pleasant fragrance. Unlike what I had read about a lot of dry shampoos, Fresh Dust doesn't leave any kind residue in your hair, thus keeping it feeling fresh. It also gives great volume to my chemically straightened hair which falls quite flat at times. I use the L’Oreal dry shampoo in between washes and it definitely helps me extend a day or two as it absorbs the oil in my hair. It also has very pleasant fragrance and gives my hair good volume. I have fine hair and my hair looked voluminous instantly. If you've got your hair done at the salon, this product will keep this in help place the next day. This is definitely a great product to keep your hair feeling fresh and clean and is perfect when you're travelling or in a hurry to get ready. Priced at INR 950/- for 150ml can. Till then, tell me - Have you ever used a dry shampoo? Which is your favorite brand and why? I use Batiste dry shampoo. It's ok, gives my hair a bit of freshness between washes, but I would never go out without washing my hair on a third day… No dry shampoo would help me. I need to try this one I use now tresemme its good. You did a great review. I would like to try this shampoo!!!! sounds great! I want to try this! Hi June! Im very curious to see then the result, the product inspires me cause sounds really great! I used dry shampoo and if you are in a hurry and have no time to wash the hair, is a good solution. Happy Sunday dear, kisses! Ooh, can't wait to see how it works for you! I love Batiste. Their dry schampoos are great. You can't feel it in the hair and the originals has a really nice soft scent that I love. Also the price is great. Greta review, I have never tried it! Hi June, I have used many different types of dry shampoo in the past but all have not worked for me, So I am glad reading about this one. I am always grateful for your kind comments...Have a great week ahead! Oreal product are very nice! Thanks so much for visiting my blog! I'd love to follow each other, I'm always happy to support fellow bloggers. Sounds very interesting, I've never tried one like that before! It looks great, let us know if it works! I have been meaning to get one for travel, it's supposed to be the best thing to use when you get off the plane. Hope your week has been a good one so far! but wheres the haircut pic? Ive heard dry shampoos are really good, never tried one though. I never heard of this dry shampoo I'm using the naturia from Rene furterer but some I've converted some of my friends to the baptist dry shampoo!! !